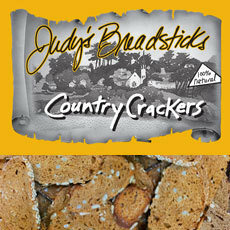 THESE COUNTRY CRACKERS ARE OUR LOVESTICKS THINLY SLICED AND DOUBLE BAKED. Country Style & Rustic, Delicious, Handmade, Vegan and Crispy. Fabulous with Cheese and any topping you can imagine.